If you have a question or problem using the Stereo Headset Adaptor, see the following topics. Can I have chat audio through my Kinect as well as my headset? 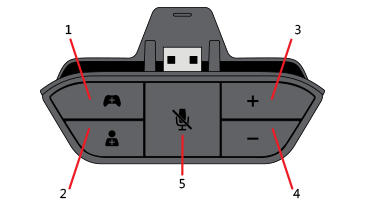 Have you updated your controller's software to support the Stereo Headset Adaptor? Make sure your controller has fresh batteries. When the batteries get weak, some controller functions like audio and rumble get turned off to conserve the remaining power. Make sure that your headset adaptor is firmly plugged into your controller and that your stereo headset's 3.5-mm cable is securely plugged into the headset adaptor. You will know it's plugged in properly if you press the mute button and the LED lights up. If the mute light comes on and you have updated your controller but your headset isn't working, consult the manual or manufacturer. Try your Stereo Headset Adaptor on another controller if you can. If the adaptor works on the second controller, try updating the first controller again. If that fails, the controller will need to be replaced. To order a replacement, go to the Xbox Online Service Centre. If your Xbox One Controller doesn't work or gets disconnected after you plug in your Stereo Headset Adaptor, unplug your adaptor and then update your controller without the adaptor. After the controller is updated, insert your Stereo Headset Adaptor back into the controller. If you're prompted to install another update for the adaptor, install that update as well. If your controller still disconnects after you update it, you will need to replace the controller. To order a replacement, go to the Xbox Online Service Centre. If you have both game and chat audio plugged into the adaptor, use the Game balance or Chat balance button to get more of the desired audio type. No, when the console detects a headset, Xbox assumes that you want that audio to be private, and it automatically turns off Kinect chat audio. 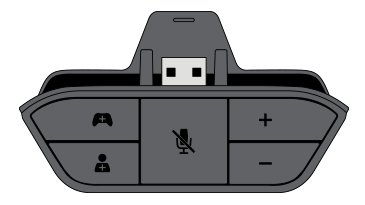 The Stereo Headset Adaptor doesn't know if you're using your headset just for chat or for all audio, so the Xbox console doesn't automatically mute TV audio when you're using the adaptor. You must manually adjust your TV audio volume. If your Xbox One Stereo Headset Adaptor is broken, order a replacement from the Xbox Online Service Centre. Would you like to contact Support regarding the "Troubleshoot the Xbox One Stereo Headset Adaptor" issue you were reading about or a different issue?